I have always been the person who donates her time, efforts, etc., to causes like helping at the soup kitchen, cooking for functions at church, volunteering at PTA functions, etc. I like staying behind the scenes and quietly helping because that’s where I’m comfortable. 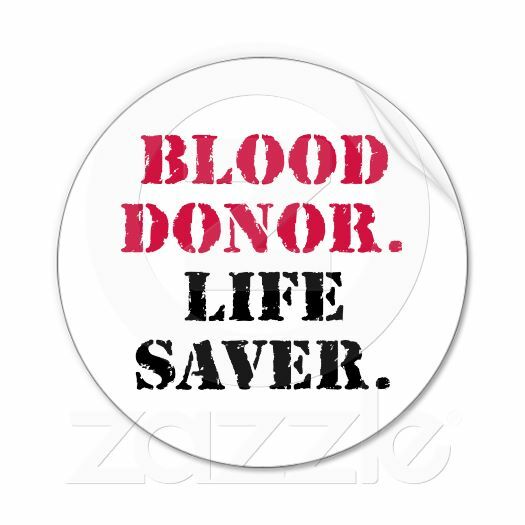 I have also anonymously helped people in another way — I am a 4+-gallon blood donor. I am nearing the end of my scheduled chemo treatments so my body has taken some hits with fatigue, low appetite, low magnesium, etc. My blood is tested every week a couple of days before my chemo treatments due to the clinical trial I am in. This past week, my red blood cells were down for the first time ever. I was retested on the day of chemo and they were even lower. My option? A blood transfusion. This rocked me on my heels. I have always been the donor. I’m the one who helps other people. Suddenly I found myself on the other side as the person needing help. Throughout this process of dealing with cancer, I have learned to accept help when it’s offered and to ask for it when it’s needed. My pride has taken a back seat and I am grateful to everyone who has helped me in any way whether it’s shuttling my kiddo around, cooking meals for us, checking on us from time-to-time, etc. Therefore, it’s a bit odd that I went back to my old ways because I was initially resistant to the idea of a transfusion — I wanted my body to be strong enough to “bounce back.” Reality, however, had a different plan. After discussing the pros and cons of the blood transfusion with my sweetie and folks from my medical team, I opted to have the transfusion. I will say it was a very humbling experience for me. I have never minded taking time out of my day to donate blood for others. As I watched the nurse hook me up to receive my transfusion, I said a silent “thank you” to the person who took time out of his/her day to donate so that I could get my red blood cell count up. After my transfusion, I felt better and less fatigued. I am so grateful to my anonymous donor. I have three chemo treatments left and although chemo is cumulative, my plan is to sail through them without any further issues. However, if I need another blood transfusion, I am hopeful that it will be there if I need it. My donation days are likely over. Blood supply is critically low right now. Donations are low this time of year so if you are able to donate, please do it. Do not let a fear of needles or an excuse of being too busy stop you. A momentary needle stick (it doesn’t hurt for more than a few seconds) and 15-20 minutes lying down will help up to three people. You will feel so good afterwards. Glad you are feeling better!!!! Don’t feel guilty being a recipient – you have saved people as well with your donations. And now I am going to search and see where I can donate blood!